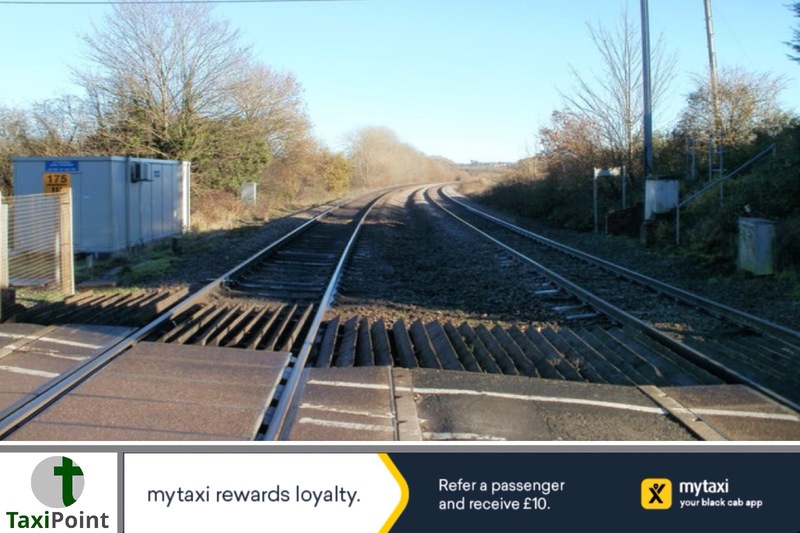 A taxi driver has narrowly avoided a driving ban after he drove through a rail crossing in Pembrokeshire and hit the rear wheels of the carriage. Brian Mazey, 45, misjudged the speed of the oncoming train, clipping the last carriage which had 17 passengers on board. The train driver said he could see the headlights of the vehicle approaching the crossing but expected it to stop. As Mazey's vehicle hit the carriage, the train jolted, the driver looked back to see the vehicle trying to reverse from the tracks. It was a miracle no one was injured. Rail services were disrupted for two days because of the incident, the BBC reported. Mazey admitted dangerous driving and was fined £500 and handed six penalty points on his licence. He was also ordered to pay prosecution costs of £250 plus a surcharge. Mazey's actions were described as "incredibly careless" by investigating officer PC Chris Draisey, of the British Transport Police. Draisey added that although waiting at a rail crossing can be frustrating, it's simply not worth taking the risk. Judge Peter Heywood said "you should of seen it, given the size of it". Mazey was extremely lucky to keep his licence and continue operating as a cab driver.